However, since 2000 the World Table Tennis Championship has been split into two separate competitions. Team events are now held in even numbered years, whilst individual events (singles and doubles) are held in odd numbered years. So 2013 was the year for the individual events to be contested and, 10 years after last staging the event, France was once again the host country. The LIEBHERR 2013 World Table Tennis Championships were staged in the Paris suburb of Bercy from 13th to 20th May 2013. 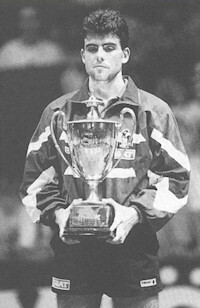 The French Table Tennis Federation were very keen to host the 2013 World Championships because it was 10 years since they last hosted the event in the same venue, and 20 years since the only French player to win the World Title, Jean-Philippe Gatien, won in Gothenburg, Sweden in 1993. So the Qatar Table Tennis Association, who also wanted to host the event, agreed to let France be the only bidder to host the event. The venue for the tournament was the Palais Omnisport de Paris Bercy with the National Institute of Sport staging the qualification rounds. The seating capacity at the Palais Omnisport de Paris Bercy was 13,500 and up to 20 tables were used. The draw was made on Saturday 11th May 2013 with the qualification stages commencing on Monday 13th May 2013. A decade ago, in the Paris suburb of Bercy at the 2003 World Championships, there was a surprise winner in the Men's Singles final. Austria's Werner Schlager beat South Korea's Joo Saehyuk to take the prestigious title of World Champion. The 30-year-old and number 6 seed won 11-9, 11-6, 6-11, 12-10, 8-11, 12-10. It was such a surprise because Chinese players contested all the finals except the men's singles final. The first round proper of Men's Singles, Women's Singles and Mixed Doubles had 128 places and the first round proper of Men's and Women's Doubles had 64 places. Singles events and Mixed Doubles had 64 seeded players, 32 direct entries and 32 qualifiers. Other doubles events had 32 seeds, 16 direct entries and 16 qualifiers. Qualification for singles was initially comprised of group matches followed by knockout rounds. Qualification for doubles was by knockout. All singles matches were the best of 7 games. Doubles matches were the best of 5 games in qualification matches and best of 7 games in the main draw. 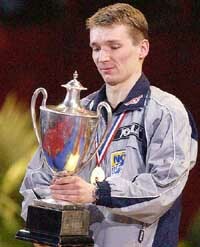 Each Association was entitled to 5 entries in each singles event, with 1 additional player in the appropriate event for each player in the first 20 places of the January 2013 ITTF world ranking list - up to a limit of 2 men and 2 women in singles with 3 men and 3 women pairs in the doubles, 3 pairs in the mixed doubles. All players could be different. The host Association (France) could enter up to 7 men and 7 women in the singles events. 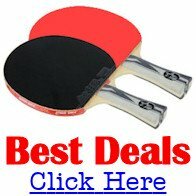 What equipment was used at the 2013 world table tennis championships?